Let’s break down some of the big questions about spam calls and explore what you can do about it. Why Are You Getting so Many Spam Calls? Automated technology makes it easier than ever to blast calls to a large set of phone numbers. In fact, it may take only 15 minutes to set up a computerized auto-dialer system. The ease of using robocall technology has popularized it to the point where spam calls are expected to account for nearly half of all calls to U.S. cell phones this year. What’s the Difference Between Telemarketers and Robocalls? Telemarketers working in cold-calling sales jobs have been universally loathed for a long time. However, according to Oxford University, telemarketers have a 99 percent chance of losing their job to digital automation. Today, less than 200,000 people in the United States are employed as telemarketers to make sales calls or solicit donations by phone. On the other hand, robocalling is the growing dialing technology that makes it possible to automate large numbers of calls. Robocalls can include useful automated information messages such as weather-related school delays or appointment reminders. Robocalls can also include massive business campaigns such as insurance sales, political advertisements, or fundraising. Robocalls are also used for the seemingly endless scams that have defrauded people out of billions of dollars. Sometimes, the robocalls will broadcast a pre-recorded message, and other times the robocall is only the dialing technology that connects you to a person. The trend is for robocalls to use AI-powered chatbots with voice recognition technology so it can seemingly hold a conversation with an unsuspecting caller. Who Is Behind These Robocalls, and Are They Profitable? The problem of spam phone calls is exasperated by a few key factors. First, today’s phone technology allows international phone scammers to make low-cost calls from other countries, and their overseas locations can make it difficult for U.S. authorities to prosecute them. For example, a multitude of federal agencies was needed to track down the perpetrators of the 2013 IRS phone scam. In addition to the 20 arrests within the United States, a network of call centers in Ahmedabad, India, were identified, and the DOJ sought extradition of the Indian perpetrators. Even for U.S.-based spammers, the profits can be so high that it may pay to break the law. For example, North Carolina businessman Philip Roesel was fined $82 million after making more than 21 million robocalls. While that’s a significant penalty, so was the scale of the operation. The FCC determined the fine amount by using a base rate of $1,000 per violation for the 82,106 calls that were verified as being spoofed with false caller ID information. The fine is higher than the penalty that Roesel proposed of only ½ of one cent per violation. However, it’s far lower than the statutory maximum of $11,052 per violation. A maximum penalty would have been $907 million. Does the ‘Do Not Call’ List Actually Do Anything? In 2003, the FTC started the national Do Not Call Registry, which is supposed to stop unwanted robocalls and telemarketers. Today, more than 235 million phone numbers are actively registered for the voluntary program to stop unwanted calls. Plus, not all businesses adhere to the requirements of the Do Not Call Registry, and only some of the illegal robocallers are caught. On top of that, the Do Not Call Registry won’t help stop illegitimate enterprises or scammers who aren’t concerned with adhering to the laws. As consumers have seen little impact from filing a complaint, complains decreased in 2018 to 5.8 million. How Can I Block Telemarketers and Robocalls? There are add-on services, apps, and lists that claim to help you stop robocalls. However, at Ooma, we prefer streamlined and integrated solutions. That’s why every Ooma Premier phone service subscriber has call blocking tools included with their service. 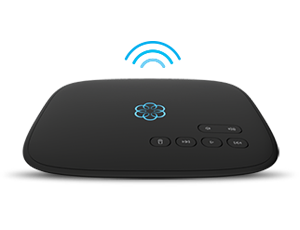 Ooma Premier costs only $9.99 per month for contract-free phone service within the United States, Canada, Puerto Rico, and Mexico, following the one-time hardware purchase of the Ooma Telo device. Not only does Ooma Premier include crystal-clear HD audio, but users can also access a range of high-tech calling tools including smart home integration, full-service access via a free calling app, and much more. Block known spam callers: This proprietary list of spam callers is an aggregation of phone numbers that Ooma users have found to be invasive or annoying. Moderated by administrators, this list is responsive to the changing tactics of spammers, helping you stay a step ahead of unwanted callers. Block suspected spam callers: This list has more than 800,000 numbers that have been identified as telemarketers, robocallers, and phone spammers by the widely recognized service Nomorobo. Block anonymous callers: Because it’s a common tactic for unwanted callers to block caller ID services, anonymous call blocking can stop callers who are unwilling to reveal their true identity. Contacts-only calling: For the highest level of spam protection, users can choose to only allow the phone to ring when the incoming caller is on their contact list. What Should You Do When Telemarketers Call You? The short answer is, don’t answer the phone! This is especially important for the elderly and vulnerable populations who can be manipulated by strong-arm tactics and threats. When in doubt about the legitimacy of a caller, look up the business’ phone number yourself and dial back the verified number. That will clarify if the call was legit or if you narrowly avoided a scam. Adrian Abramovich, the notorious “kingpin of robocalls” has made nearly 100 million calls in just three months, but he says, “The majority of those calls don’t bother anyone.” To be sure, the rest of us disagree. Learn more about how Ooma Premier can help you fight back against robocalls.